There's a ton of hair products out there, are you using the right one for your haircut and hair type? Back in the good ole days, the most variety of hair-care products was the hold level on those wavy bottles of gel that looked like Jell-O. To be fair, L.A. Looks is an amazing product perfect for creating a bicycle helmet out of human hair if you use the extended scale of holds (kind of like turning it up to 11). But the field has grown. The number of hair styling products for men in men’s grooming aisles—even in big-box supermarkets— is staggering. There are creams, waxes, pomades, fibers, and magic spells that all do well to keep our respective hairstyles in check all day. But there is a difference—it’s not just the color of the gel and the hardness of your hair/helmet—between all these products. 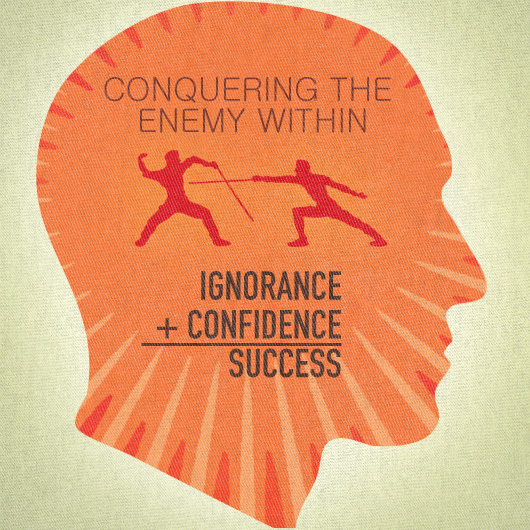 It just depends on what you’re looking to accomplish. 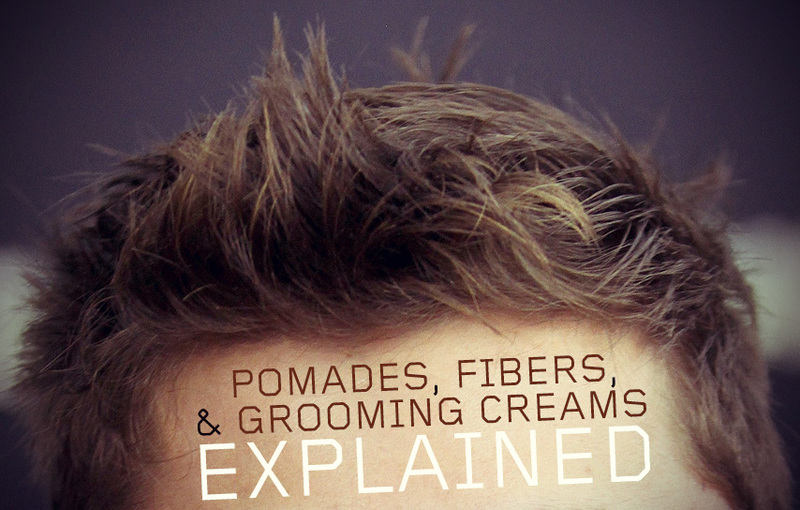 While not necessarily “grease,” pomades make your hair have a high-gloss sheen. Or, if you use a truly shiny pomade, it makes your hair look wet. This isn’t necessarily a bad thing, however, as some hairstyles—the pompadour, for instance—actually do well with a glossy finish. It’s important to note, too, that it’s a bad idea to run your fingers through your hair when it has pomade in it. 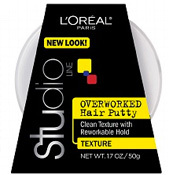 The product itself is designed to stay pliable, which means it doesn’t actually dry like a hairspray or mousse. While that means the holding power of pomade isn’t as strong as a powerful gel that keeps your hair in place with rigidity, a neat, combed hairstyle benefits greatly from good-quality pomade. Those with medium- to somewhat long-length hair works best with pomade, since the weight of your hair also keeps the style in place. 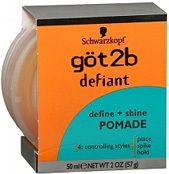 This product is generally used for a shorter cut (1 to 3 inches or so), since if you use it on longer hair, you’d most likely end up with a tangled mess. Although we’re all for maintaining independence in our styles, when it comes to hair styling products, some do better than others. And when you have the right tools, the job gets easier. Just one last piece of subjective advice in this piece: Once, in your life, rock a pompadour. Pomade can do anything—even tame a porcupine for about eight hours. You forgot the one thing that trumps all the above when it comes to keeping your hair under control…shaving cream. Shaving cream? Never would’ve guessed… Foam or gel? Pure sarcasm. I shave my head. Where did you find quicksand for $11? Ya, I have never seen it that low. Kenra #7 is legit too for a cream. Sorry that should have been 17.50. I wish it was 11.50! It’s my favorite go-to. I use TIGI’s Hard To Get to do general a hold in my hair. It’s like a wax I feel. I love it. Not too bad a price either. I will for sure look at these too. Sorry for the horrid picture quality. I too am a big fan of “Hard to Get” – it’s almost like a hybrid between fiber and cream. I’ve been through a few products now, Osmo Clay Wax is very, very good, and it’s about £5. Strong hold, but workable and touchable. I’m a big fan of Suave for Men Styling Paste. I can’t find it anywhere in stores anymore, but Amazon sells 4 canisters for less than $12. I have thin straight hair and it works great. I was actually going to include it but it’s impossible to find, maybe discontinued? Negative Ghost. You can get some at your local Wally World for about 3 bucks a pop. as I said, that store doesn’t exist in cities. Go to New York, San Francisco, Seattle, Chicago, Portland.. you will not find one. It’s pretty obvious that suburban was saying that Walmart isn’t commonly found in major cities. 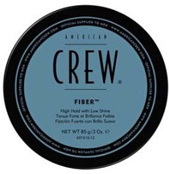 I swear by American Crew Grooming Cream! 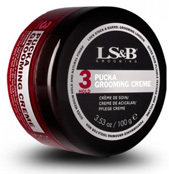 Feels very sticky, but it’s great if you have thick (but short) hair. A.C. Forming Cream is also amazing for longer hair (3-5″). 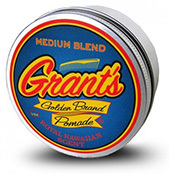 The Grant’s Pomade is simply incredible. Keeps pompadour variation haircut in check and looking sleek. The price though definitely hits the pocket. What would you recommend for the classic shag? I have thin hair that messes up easy and if it gets too hot will start to frizz. I currently use hairspray but am wondering if there is anything better. Will any of these products work? Depends how much hold you’re looking for. Mouse (high hold), a leave-in conditioner(low hold), or a small amount of grooming cream (med hold) would all work wonders. A dime-sized drop of baby oil does wonders. Thanks for this post. At least I finally get the differences right among the three. And just out of curiosity and to complete my puzzle: where does “wax” fall among these? Is it a sub-category of Fiber/Clay, or completely different purpose/characteristics as a hair product? I would group wax with fiber and clay. The difference is mostly marketing language. They all contain waxes. Another good line is Gatby’s Moving Rubber. I’m personally a fan of the Grunge Mat, gives a look similar to AC Fiber, but is a little bit more workable. No Love for the classics, like Brycreem or Groom and Clean? These are inexpensive and hold really well. Believe it or not AXE whatever messy look paste is great and only around $7. Washes right out too, which is rare for a good holding paste. I made a huge mistake in getting murrays when I got my hair cut for a pompadour. I mean it works but its awful to get out and rarely do I want to go days on end without washing my hair. I know it sounds whiney but its the truth. 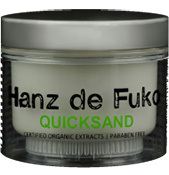 I got a sample of quicksand from my barber and LOVE it. Will probably buy it soon. Your issue with Murray’s stems from the fact that it’s an oil-based product. Sounds like you might know that already. Look for water-based products (water listed first on ingredients list) to avoid similar issues. Personally, I prefer got2b Chaotic fiber. It’s really soft like cream but it dries completely into a nice matte. I use it on my really short hair for almost every style. Plus it only costs about $6. I’ve rocked a variation of the pompadour for as long as I can remember and have never been a huge fan of classic pomades, especially oil-based ones. They are almost always too greasy/heavy feeling or looking and would encourage break outs on my scalp/forehead. In their defense, I have super thick blonde hair that requires a ton of product, exacerbating their weight/greasiness. 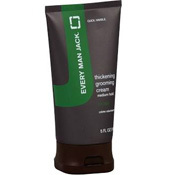 Grooming creams win out all day for me because they are so versatile. They can be used with just about any hair type and style. I love what Baxter of California is doing right now with their hair styling pomades. 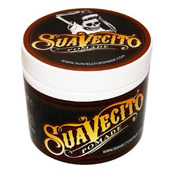 They offer 4 different types of pomade that you can cocktail together to get your perfect option. Rarely if ever do I find something that I can use by itself to work perfectly. I mix the clay with the hard cream pomade in my hands and work through. I have thick and poker straight hair that I have my stylist texture heavily. The two together keep it looking natural and hold well throughout the day. What kind does Trump use? I’m interested!